In our knowledge, Capstone has been used by 440 following products (listed in no particular order). Unicorn: Lightweight multi-arch, multi-platform CPU emulator framework. Keystone: Lightweight multi-arch, multi-platform assembler framework. Camal: Coseinc automated malware analysis lab. Radare2: Unix-like reverse engineering framework and commandline tools. Pyew: a Python tool for static malware analysis. WinAppDbg: Code instrumentation scripts in Python under a Windows environment. MachOView: Visual Mach-O file browser that allows exploring and in-place editing Intel and ARM binaries. RopShell: Free online ROP gadgets search. ROPgadget: Gadgets finder and auto-roper. The-Backdoor-Factory: Patch Win86/64 PE and Linux86/64 binaries with shellcode. BDFProxy: Patch Binaries via MITM (BackdoorFactory + mitmProxy). Cuckoo: Open source automated malware analysis system. Cerbero Profiler: Malware and forensic analysis tool. CryptoShark: Cross-platform interactive debugger (powered by Frida). Ropper: Rop gadget and binary information tool. Snowman: A native code to C/C++ decompiler. Concolica: Python concolic execution framework for program analysis. Memtools Vita: Toolkit to explore PlayStation Vita firmware. BARF: Multiplatform open source Binary Analysis and Reverse engineering Framework. rp++: Full-cpp written tool to find ROP sequences in PE/Elf/Mach-O x86/x64/ARM binaries. MPRESS dumper: Unpacking tool for some HackingTeam’s OS X malware. 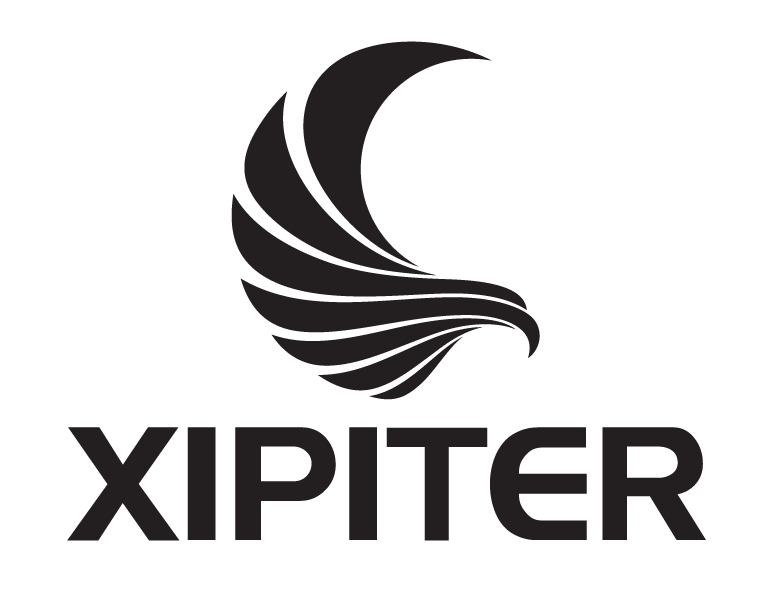 Xipiter toolkit: Miscellaneous tools for various security tasks. Qira: QEMU Interactive Runtime Analyser. Rekall: Rekall Memory Forensic Framework. Pwntools: CTF framework used by Gallopsled in every CTF. Bokken: GUI for the Pyew malware analysis tool and Radare reverse engineering framework. Webkitties: PlayStation Vita Webkit Exploit / Mini SDK and Testing Framework. Malware_config_parsers: A collection of public malware config parsers. Nightmare: A distributed fuzzing testing suite with web administration. Catfish: A tool to ease the process of finding ROP gadgets & creating payloads with them. JSoS-Module-Dump: PlayStation Vita module dumper. Vitasploit: PlayStation Vita native exploitation framework. PowerShellArsenal: A PowerShell Module Dedicated to Reverse Engineering. ARMSCGen: Shellcodes for ARM/Thumb mode. Shwass: Mach-O Executables Analyzer & Disassembler. Nrop: Automated Return-Oriented Programming Chaining. ELF Unstrip Tool: Generate unstripped binary from an ELF strip binary. Binjitsu: CTF framework and exploit development library. Rop-tool: A tool to help you writing binary exploits. JitAsm: JIT Assembler Library for multiple ISAs. OllyCapstone: A plugin for OllyDbg 1.10 to replace the old disasm engine with Capstone. PackerId: A fork of packerid.py with disassembly support. UEFI_boot_script_expl: CHIPSEC module to exploit UEFI boot script table vulnerability. Symx: Lightweight Symbolic Execution Engine. ArmExec: Android native runtime emulator. Capstone View for IDA: A plugin to use Capstone to display code instead of IDA’s own disassembly engine. Honggfuzz: A general-purpose fuzzer with simple, command-line interface. Triad decompiler: A tiny, free and open source decompiler that will take ELF files as input and spit out pseudo-C.
SemTrax: Data Tracking for Binary Software. Senseye: Dynamic Visual Debugging / Reverse Engineering Toolsuite. Plasma: Reverse engineering tool for x86/ARM. Generates indented pseudo-C with colored syntax code. Binflow: A fast & multi-thread support tool to trace function calls in ELF binaries. OpenREIL: Translator and tools for REIL (Reverse Engineering Intermediate Language). PREF: Portable Reverse Engineering Framework that aims to be the swiss army knife for Reverse Engineering. Pwnypack: Certified Edible Dinosaurs official CTF toolkit. GEF: Multi-Architecture GDB Enhanced Features for Exploiters & Reverse-Engineers. Hopper: A reverse engineering tool to disassemble/decompile/debug Intel Mac, Linux, Windows & iOS executables. Pysymemu: An Intel 64 symbolic emulator. Decompiler: A decompiler with multiple backend support, written in Python. ArkDasm: 64-bit interactive disassembler for Windows. SM64tools: Collection of tools for manipulating the Super Mario 64 ROM. ViDi: Visual Disassembler for static analysis of PE files. Volatility_plugins: A collection of plugins for the Volatility framework. ThunderGate: An open source toolkit for PCI bus exploration. Visulator: A machine emulator that visualizes how each instruction is processed. Psce4all: PlayStation Console Emulators For All. Pwndbg: A Python plugin of GDB to assist exploit development. IntelliJ IDEA: A Java IDE. Binch: A light ELF binary patch tool in python urwid. Ropchain: X86 systematic ROP payload generation (with API to customize payload). PyOCD: Python library for programming and debugging ARM Cortex-M microcontrollers using CMSIS-DAP. Okita: a set of proof-of-concepts to disassemble binaries to assembly. Angr: A framework for static & dynamic concolic (symbolic) analysis. Shellyzer-Gui: a GUI application that helps to analyze shellcode. Xenia: Xbox 360 Emulator Research Project. Haka: a toolsuite to capture TCP/IP packets and filtering them based on Lua policy files. Gcov: GNU gcov like tool. Anticuckoo: A tool to detect and crash Cuckoo Sandbox. EmilPRO: Graphical disassembler for a large number of instruction sets. NextGen: A Genetic File, Sycall and Network Fuzzer for Unix systems. Imatinib: Instrumentation tool that uses the only inline patch hooking. Harpoon: Lightweight runtime hooking library for OS X.
MemoryPatchDetector: Detects code differentials between executables in disk and processes/modules in memory. Mpesm: Indentify the compiler/packer/cryptor of PE files. Silicon-disassembler: A high-performance, asynchronous web-component disassembler. peCloakCapstone: A tool to encoder Windows PE files to bypass AntiVirus detection. Lyn: Python binding for GNU lighning. Edb: A cross platform x86/x86-64 debugger. Unicorn-decoder: A shellcode decoder that can dump self-modifying-code. Capstone.js-bookmarklet: Disassemble from webpage with bookmarklet. ProDBG: A debugger supports a variety of targets and operating systems. Pageant_xkeys: Extract unencrypted SSH keys from Pageant memory dump. Crumble: A cross-platform commandline tool to disassemble PE files. Trap-syscalls: Library for in-process tracing and/or hooking of system calls. Thunderstrike: EFI bootkits for Apple MacBooks. rr-dataflow: A GDB plugin to trace back to the origin of data in Mozilla’s rr. ropnroll: OSX exploitation helper library. StfuSIP: System Integrity Protection (SIP) bypass for OSX 10.11.1.
fREedom: Extracting disassembly information from executables for Binnavi. CapFunc: IDA Python Script that Disassembles Functions with Capstone. MyROP: ROP tool for ARM. hsdecomp: A decompiler for GHC-compiled Haskell. WWCD: What Would Capstone Decode - IDA plugin implementing a Capstone powered IDA view. PythonForWindows: codebase to make it easier to work with Windows & native execution. MacDBG: Simple easy to use C & Python debugging framework for Mac OS X.
VxPwn: A fuzzer for VxWorks. CHDK: Canon Hack Development Kit. Triton: Dynamic binary analysis framework. Shellsploit: New generation exploit development kit. ADBI: Android Dynamic Binary Instrumentation tool for tracing Android native layer. Redress-Disassembler: Cross platform binary disassembler written in Java. TraceGrind: Execution tracing module for Valgrind. AppleALC: Native OS X HD audio for unofficially-supported codecs. ArmRoper: ARM ROP chain gaget searcher. EhTrace: A tool for tracing execution of binaries on Windows. Awasm: An AIMGP (Automatic Induction of Machine code by Genetic Programming) engine. Voltron: A hacky debugger UI for hackers. fence_counter: QSIM based fence counter. Lisa.py: An Exploit Dev Swiss Army Knife. DdiMon: Monitoring and controlling kernel API calls with stealth breakpoint using EPT. UniHook: Intercept arbitrary functions at run-time, without knowing their typedefs. Erebus: A reverse engineering tool suite for Linux. Avery: x86-64 kernel in Rust. Pyflirt: Map file generator for Intel X86 binary based on flirt signature. dispatch: Programmatic disassembly and patching. cypher: Simple tool to automate adding shellcode to PE files. Cemu: Cheap EMUlator based on Keystone and Unicorn engines. AssemblyBot: Telegram bot for assembling and disassembling on-the-go. Demovfuscator: Deobfuscator for movfuscated binaries. Ropf: Gadget displacement on top of IPR (In-Place Randomization) against Code Reuse Attack. Cardinal: Similarity Analysis to Defeat Malware Compiler Variations. dynStruct: Reverse engineering tool for structure recovering and memory usage analysis based on DynamoRIO. iokit-dumper-arm64: Statically reconstructing the IOKit classes hierarchy from iOS kernelcache dumps. Spedi: Speculative disassembly, CFG recovery, and call-graph recovery from stripped binaries. Dash: A simple web based tool for working with assembly language. Qsim: Full system emulator front-end to a multi-core timing model. Windows_Debugger: A simple Windows x86-32 debugger. MongoDB disasm: Interactive Disassembler with GUI (Web-based). WTFJH: iOS Security Runtime Inspection. Xenpwn: A toolkit for memory access tracing using hardware-assisted virtualization. Rebours: A framework for control-flow recovery in binary programs. Patchkit: A powerful binary patching toolkit. CFFCapstone: Assembler extension to CFF Explorer. FirmInsight: Automatic collect firmwares from internet and extract info. UniAna: Analysis PE file or Shellcode (Only Windows x86). pymetamorph: Metamorphic engine in Python for Windows executables. WCC: The Witchcraft Compiler Collection. Patcherex: Shellphish’s automated patching engine, originally created for the Cyber Grand Challenge. 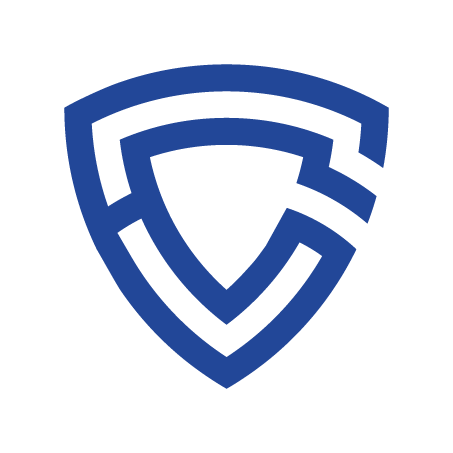 Cgrex: Targeted patcher for CGC binaries - using in the Cyber Grand Challenge. C-flat: Control Flow Attestation for Embedded Systems Software. W-SWFIT: x64 Windows Software Fault Injection Tool. DynInst Tools: Tools built using Dyninst or Dyninst component libraries. PeiBackdoor: PEI stage backdoor for UEFI compatible firmware. Ropstone: A basic ROP/gadget finder. Labeless: Labels/Comments synchronization between IDA PRO and debugger backend (OllyDbg, x64dbg). KlareDbg: Kernel debugger using Timeless Debugging method. Ponce: IDA Pro-based symbolic execution & taint anlysis engine. Shellsploit-library: Exploit development library for python users. asm_buddy: Small script to assemble/disassemble from CLI. Rgat: Instruction trace visualisation tool for dynamic program analysis. Shellbug: Basic command-line, text-based, shellcode debugger. Cheat Happens: CoSMOS Memory Scanner and Gamehacking Tool. EasyROP: A Python tool to generate ROP chains. Nemezisv3: A GUI tool to convert hex-string to assembly and vice versa. Stoneb0t: IRC bot providing assemble / disassemble for various architectures. Rop-chainer: Generates return-oriented exploits for ELF binaries. Wdbdbg: Python WDB RPC monitor for X86 targets on VxWorks 5.x/6.x. kHypervisor: Light-weight nested Virtual Machine Monitor for Windows x64. RePEconstruct: Automatically unpacking a Windows binary & rebuild its import address table. 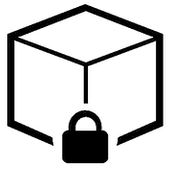 DirEngine: Disassembly Intermediate Representation Engine. Wag: WebAssembly compiler implemented in Go. Fuzzemu: Instruction emulator for the Cortex-M3 ARM. 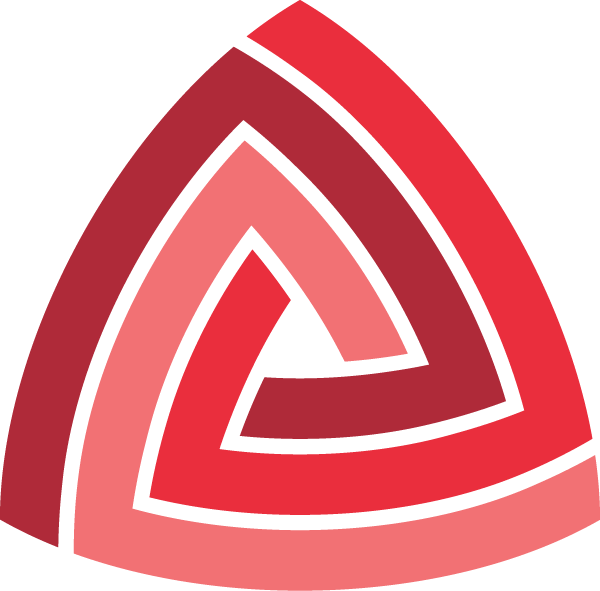 IDASec: IDA plugin for reverse-engineering and dynamic interactions with the Binsec platform. Satt: Software Analyze Trace using Intel Processor Trace. PShape: Practical Support for Half-Automated Program Exploitation. PowerShell Suite: A collection of PowerShell utilities. Nougat: ART-Extension for Android Nougat. instruction_set_research: Analyse the instruction set distribution on malicicous PE files. VulcanoIO: Open Source Cluster IOTs for Reverse Engineering Malware. Proctal: Manipulates the address space of a running program on Linux. Lazy Office Analyzer: Analyze Microsoft Office docs. FRIEND: Flexible Register/Instruction Extender aNd Documentation. Synthir: IR Transformation Synthesis for Assembly Instructions. Panda: Platform for Architecture-Neutral Dynamic Analysis. Alfredworkflow-Capkeystone: Alfred Workflow to convert hex string to assembly and vice versa. Pydbg: A pure-python win32 debugger interface. Trace: System tracer implementation in Rust. Chiasm-shell: Python-based interactive assembler/disassembler CLI. inVtero: Find/Extract processes, hypervisors in memory dumps using microarchitechture independent Virtual Machiene Introspection techniques. PEDetour: Modify Portable Executable file to hook its export functions. Dithumb: Minimal ARM/Thumb linear sweep disassembler similar to objdump. ARM-Tracer: Trace Log Generation (CLI) on a target device or emulator. LunaLUA: LunaDLL with LUA, a free extension for SMBX game engine. GadgetWrecker: A conceptually simple, experimental defence against ROP exploits. ftrace: A ltrace/strace-like but just to log calls to local functions. Nucleus: Compiler-Agnostic Function Detection in Binaries. TSXCFI: Prototye Implementation for TSX-based CFI Enforcement. Stonesh: Command interpreter for Keystone and Capstone designed to be an alternative to ks/cstool. Ratone: A console for assemble/disassemble code using Capstone/Keystone. Bootcode_parser: Offline analysis of the boot records used by BIOS based systems (UEFI is not supported). Fido: Teaching old shellcode new tricks. Utimaco: Tools for reverse engineering the Utimaco Firmware. 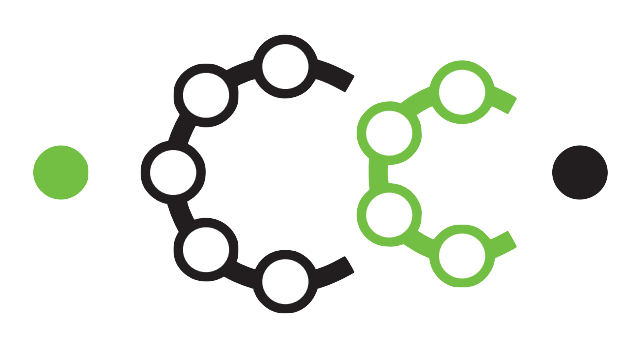 Grap: Define and match graph patterns within binaries. Nymaim-tools: A set of tools to analyze & track Nymaim trojan. Guestrace: System call tracing tool based on Xen altp2m. ExceptionDetector: Exception detector for Win32 programs. Online Assembler & Disassembler: Online Assembler and Disassembler. Executable Image Parser: A pure-Java, concurrent friendly library for parsing executable files of a variety of formats. Yara-sign-tool: A tool to generate yara signatures from function blocks. ClassicOffensive: Game Classic Offensive mod. Bin-analysis: Ruby module containing various utilities for binary analysis. pointer-chain-reversal: Trace pointer access in Windows C++ applications. Disassembler: Simple disassembler in Go with DWARF support. Bre: Go-based tools for binaries reverse engineering. Indika: A blanket execution/min hash semantic hash tool for binary function identification. Syscall-Monitor: A system monitor program (like Sysinternal’s Process Monitor) using Intel VT-X/EPT for Windows7+. Piglab: Tooling and test harness for Snort signature/plugin development. X86-analysis: Static analysis tools for x86 assembly. iOSKextDump: Dump Kext information from iOS kernel cache. Lilu: Arbitrary KEXT and process patching on MacOS. x86-64-pe-emu: AMD64 Windows PE Emulator in Python. AsmBot: Slack bot to assemble and disassemble using Capstone and Keystone. Kcapys: Patch all calls to a function ELF file with NOPs. Maclook4ref: Quickly find references to the specified Immediate number, or find the function call of specifies offset, and generate C++ functions call backtrace. Reassemble: Re-Assembler utility for reverse engineering. cgPwn: Cyber Grand Pwnage Box. WhileDetect: Detect while(True) loop in a given binary. Shellcode: x86/x86-64 shellcodes for Windows, Mac OSX, Linux, BSD & Solaris. BranchMonitoringProject: A Branch Trace Store (BTS) monitor-based solution for process monitoring. ioskextdump_32: Dump Kext information from 32bit iOS kernel cache. mackextdump: Dump Kext information from MacOS kernel. unitracer: Windows API tracer for malware. pwning-tools: A small library that help CTFer quickly write payload. cache-leak-detector: Detect instruction cache leaks in modular exponentiation software. kcshell: Interactive assembly/disassembly shell for various architectures. Kernel_integrity: Kernel Integrity Check for Virtual Machine. AsmHelper: A MacOS tool to help convert machine code to assembly and vice versa. UniversalRop: Small tool for generating ropchains using Unicorn and Z3. Manticore: Dynamic binary analysis tool. Bootloader instrumentation suite: Bootloader research tools. Crop: C-style language ROP Compiler for CFI-hardened system attacks. Symexec: Basic x86 Symbolic Execution for educational purposes. Memvis: Tool for interfacing with ELF files. PEinfo: Passive Windows Portable Executable file information parser without any external dependencies. Troll: C-language source-level debugger for ARM Cortex-M systems. Vino: Binary instrumentation tool for Linux. Falcon: Binary Static Analysis Library in Rust. HyperDbg: Nested-Virtualization based debugger for debugging Hypervisor / Virtual Monitor Machine (VMMs). open-source-machlib: An open source equivalent of machlib. Ganxo: Opensource API hooking framework. Seb: Scenario Executor for Binaries. Mlib: Your bag of handy codes for malware researchers. qemu-plugins-tutorial: Tutorial to write qemu plugins. Egghatch: Shellcode identification & formatting. AroeA: IDA script to extract stack strings + simple deobfuscate. postmortem: A tiny GDB frontend. RenHook: An open-source x64 hooking library for Windows. Avatar2: A target orchestration framework with focus on dynamic analysis of embedded device firmware. Vegvisir: A browser based GUI for LLDB debugger. STAN: STAN is a sTAtic aNalyser. Hfm: Hypervisor-base File Monitoring: monitoring file-related activities in VMs on XEN hypervisor. PokerubyDiff: A web-based diff client to assist with decompiling pokeruby. Holodec: Open source decompiler for x86/x86-64 binaries. Pybag: CPython module for Windbg’s DbgEng plus additional wrappers. LuaQemu: QEMU-based framework exposing several of QEMU-internal APIs to a LuaJIT core injected into QEMU itself. python-idb: Pure Python parser and analyzer for IDA Pro database files (.idb). Cisol: Translator from asm to C, but not decompiler. Something between compiler and decompiler. Pyrebox: Python scriptable Reverse Engineering sandbox. Memory checker: Detect invalid memory access and memory leak. Bbtrace: Basic block trace for DynamoRio. Retools: a reverse engineering toolkit for normies. Bin2LLVM: A binary to LLVM translator. PyGDB: Debugger capable of debugging binary programs with DWARF-2 debug info. kAFL: Hardware-Assisted Feedback Fuzzing for OS Kernels. Nemubot: A smart and modulable IRC bot. Zzpp: A cute hook framework. Pktsend: Tiny packet sender. User can craft IP packet flexibly. HopperDos: 16 bit Intel X86 and DOS executables support for Hopper Disassempler. FunctionScan: Find function boundary and recognize library function. CageTheUnicorn: Debugging/emulating environment for Switch code. disassemble.rs: A Rust framework for static analysis. SEH_Fuzzer: A fuzzer for Windows SEH buffer overflow. Asemu: 32-bit x86 emulator using ncurses and Capstone/Keystone/Unicorn. Binary Ninja: A reversing platform. ReilEx: Symbolic execution engine using REIL (Reverse Engineering Intermediate Language). CircuitBreaker: Nintendo Switch hacking toolkit. HookLib: A small and simple header-only hooking library for x86/x64 architecture. pdata_check: Identify unusual runtimes based on the PDATA section & the last instruction of the runtime function. Sickle: A shellcode development toolkit. ida_ea: A set of exploitation/reversing aids for IDA. HookZz: A hook framework for Arm/Arm64/iOS/Android. Bloaty: Bloaty McBloatface: a size profiler for binaries. Cyann: PoC Nanomite packer for PE32/PE32++. PreventingROPattacks: A compiler pass running on the Assembly code to prevent Return-Oriented-Programming attacks. Minijit: A naive, educational x86-64 JIT-compiler written from scratch in C++ and Python. Sonare: An interactive disassembler for reverse engineering. OSSPolice: Identifying Open-Source License Violation and 1-day Security Risk at Large Scale. Shellen: Interactive shellcoding environment to easily craft shellcodes. Dyntrace: Dynamic tracing in Linux using fast tracepoints. Psr: Pointer Sequence Reverser - see how Windows C++ application accesses a particular data member or object. Syntia: Synthesizing the Semantics of Obfuscated Code. CAFA: Checksum-Aware Fuzzing Assistant for More Coverage. Retdec: Retargetable machine-code decompiler based on LLVM. Capstone2LLVMIR: Library for Capstone instruction to LLVM IR translation. Capstone-dumper: Utility for dumping all the information Capstone has on given instructions. Capstool: Set of functions that can be used to do basic static analysis of x86/x64 instructions. PEpatch: A hacky tool to patch PE binaries. KrkrExtract: A tool to extract and pack Krkr2 and Krkrz’s XP3 files. 3dstool: An all-in-one tool for extracting/creating 3DS ROMs. ScratchABit: Easily retargetable and hackable interactive disassembler with IDAPython-compatible plugin API. Owl: ROP-Gadget finder in Rust. JuniEmu: Emulator interface for ARM 32bit. ecos_gdb: A debugger written in assembly to allow serial and tcp based debugging of ECOS firmware. Multiverse: A static binary rewriter that does not use heuristics. Ftrace: A simple function call tracer. Ltrace: A simple library call tracer. ARP-Rootkit: An open source rootkit for the Linux Kernel to develop new ways of infection/detection. bitblaze_trace: A Python library to parse Bitblaze traces. gbadisasm: Game Boy Advance disassembler. Mutator: An experimental suite of tools aimed at analysis and automation of C/C++ code development. Dbghlpr: It provides various functions useful for debugging using Windbg. Anomaly Guard: Malware Detection by Memory Baselining. Vulnscan: A binary vunerability scanner for binaries. Pimp my ride: Multi-architecture CPU Emulator. PTfuzzer: Greybox fuzzer to fuzz any binary-only softwares. CAFA: A Checksum-Aware Fuzzing Assistant For More Coverage. Webkit: A fast, open source web browser engine. Extended APIs: Intel’s VT-x / VT-d APIs for the Bareflank hypervisor. Fuzzle: A stateful fuzzing engine. Fyvm Disassembler: IDAPython scripts for devirtualization/disassembly FinSpy VM. Mapbox-GL-Android: A library based on Mapbox GL Native for embedding interactive map into Android. bin2vex: Convert binary to VEX IR using the C interface provided by Pyvex. Crave: Framework to automatically test and explore the capabilities of generic AV engines. Memory-Analyzer: A loadable dll intended to track memory changes and dynamically emplaced “JMP” in the host executable. Binja-secret: Binary Ninja plugin that encapsulate Frida, Unicorn, Capstone and Keystone. GO disassembler: A lightweight ELF disassembler written in GO. dc-lang: A toy programming language + tracing JIT. ida-embed-arch-disasm: Allows IDA PRO to disassemble x86-64 code (WOW64) in 32-bit database. Hyara: Yara rule making tool (IDA plugin). SMDA: Minimalist recursive disassembler library optimized for accurate CFG recovery from memory dumps. Deen: Generic data encoding/decoding applition built with PyQt5. PinCFGReconstructor: Instruction tracing for complext programs. Golf: Parser for ELF file written in Golang. TaintGrind: A taint-tracking plugin for the Valgrind memory checking tool. Frick: The first debugger built on top of Frida. Emufuzz: libFuzzer + Unicorn + Capstone. REBot: A Discord bot for reverse engineers and exploit developers. Delf: An ELF dump script written in Python. One gadget lib: Python library to find one-gadget to invoke “/bin/sh”. vtMal: Malware Sandbox Emulation in Python @ HITCON 2018. Rosenbridge: Hardware backdoors in x86 CPUs. Nemu: Modern Hypervisor for the Cloud. LinDbg: Linux clone of Windbg. libcpu: x86 Dynamic Binary Translator Library. Dwarf: GUI for Android revere engineering. Stonework: Pebble emulator iOS and watchOS. VmwareHardenedLoader: Anti anti-VM for VMWare. libelfmaster: Secure ELF parsing/loading library for forensics reconstruction of malware, and robust reverse engineering tools. arme: ARM2ARM recompiler for melonds. Lojax UEFI rootkit checker: test if your system is vulnerable to world’s first UEFI rootkit attack. Twopy: A Python JIT compiler. GTIRB pprinter: Pretty printer from GTIRB to assembly code. InspectELF: ELF Inspection library finding compile-time gcc security switches. Unicorn PE: Unicorn based emulator for Windows PE files. Vulture: Binary Static Analysis Library in Rust. Binsequencer: A script designed to find a common pattern of bytes within a set of samples and generate a YARA rule. Vmware Hardened Loader: Vmware Hardened VM detection mitigation loader (anti anti-vm). crash-unscrambler: Analyzes crash reports and crashed processes to recover as much information as possible about the data and execution leading up to the crash. idenLib: Library Function Identification plugin for IDA Pro. Rainbow: Easy scripting interface to emulate embedded binaries for tracing. Binarydroid: Basic disassembler for Android. Saferwall: A hackable malware sandbox for the 21st Century. Yara signator: Automatic YARA rule generation for Malpedia. Droidguard-VM: Java implementation of DroidGuard virtual machine. 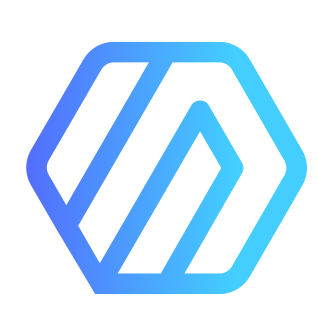 Zephyrus: A sophisticated memory library used to dynamically hook and edit memory, allowing pre-compiled code to be rewritten. xdvre: A disassembler/debugger that works based on the extension plugin. elf-mlsploit: Mlsploit module for perturbing ELF binary (direct call to indirect call). Ddisasm: Datalog driven disassembly of binary executables. mkYARA: Generating YARA rules based on binary code. unprotect: A Python tool for parsing PE malware and extract evasion techniques. DJI firmware tools: Tools for handling firmwares of DJI products, with focus on quadcopters. Inspector gadget: Discovers ROP gadgets & chains them together. Corana: A Dynamic Symbolic Execution Engine for ARM Cortex-M.
OpenBSD: Security-oriented, multi-platform 4.4BSD-based UNIX-like operating system. FreeBSD: Free Unix-like operating system descended from AT&T Unix via BSDS. NetBSD: Free, fast, secure, and highly portable Unix-like Open Source operating system. Pentoo: Gentoo-based Linux distribution for pentesters. Kali Linux: Rebirth BackTrack, the Penetration testing distribution. BlackArch: Arch-based GNU/Linux distribution for pentesters and security researchers. NixOS: The Purely Functional Linux Distribution. ArchAssault : A fully customizable pentest distribution done the Arch Linux way. DragonFly BSD: Free Unix-like operating system. NetHunter: Android penetration testing platform for Nexus devices. Void Linux: A Linux distro based on the xbps packaging system. REMnux: A Linux Toolkit for Reverse-Engineering and Analyzing Malware. Xendbg: A feature-complete reference implementation of a modern Xen VMI debugger. Mupen64Plus: A cross-platform plugin-based N64 emulator.